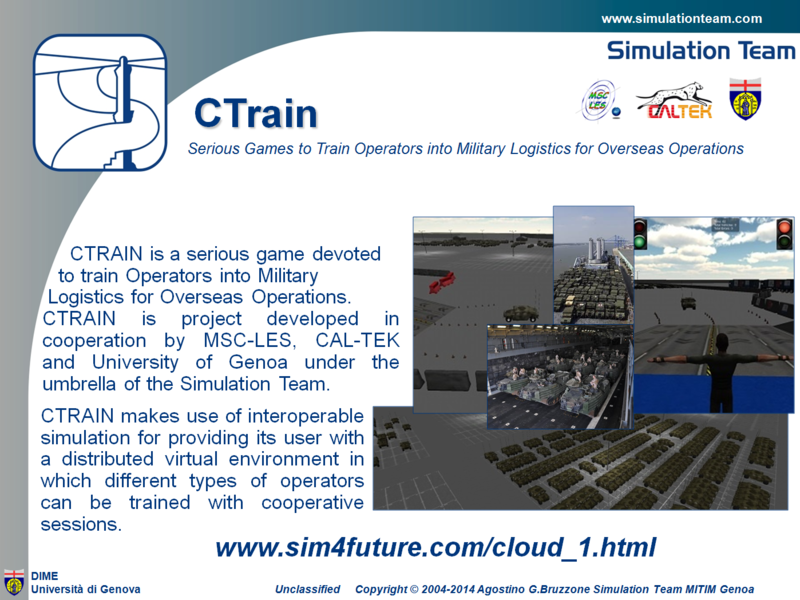 CTRAIN is a serious game devoted to train Operators into Military Logistics for Overseas Operations. CTRAIN is project developed in cooperation by MSC-LES, CAL-TEK and University of Genoa under the umbrella of the Simulation Team. CTRAIN makes use of interoperable simulation for providing its user with a distributed virtual environment in which different types of operators can be trained with cooperative sessions.